Demonstration for public land in front of the scenic Utah State Legislature. Rep. Bishop (R) from Utah introduced a bill that would gut the Antiquities Act, threatening public lands. In addition to their office in D.C petitioning for public lands, The Trust for Public Land has many local communities within their network. The best activism starts a home and is never done alone. Image attributed to Jay Dash Photography. Our public lands are the pride of our nation and are enjoyed by Americans of all political stripes. They tell the history of our shared heritage, encompass some of the most beautiful terrains in North America, support iconic wildlife, capture carbon, and provide precious opportunities to be in nature. And when the average American now spends about 93% of their life indoors—that connection with nature is more important than ever. Despite the growing importance of these special places, our public lands face mounting threats. Recently, the Trump Administration rolled back essential protections for some of our country’s most iconic landscapes. This shocking action resulted in the largest elimination of public lands protection in the entire history of the United States and started a battle for public lands as we’ve never seen before. Following this, one of our country’s most successful conservation programs, the Land and Water Conservation Fund, was allowed to expire for five months, with little thought in Congress or the Administration to the consequences. And in recent years, climate-related disasters are becoming more and more commonplace, wreaking havoc on our communities and economy. Americans across the country have made it clear that public lands should be created and protected, not sold or rolled-back. Election after election, the majority of voters vote in favor of conservation measures. This display of public support expands outside of elections as well. 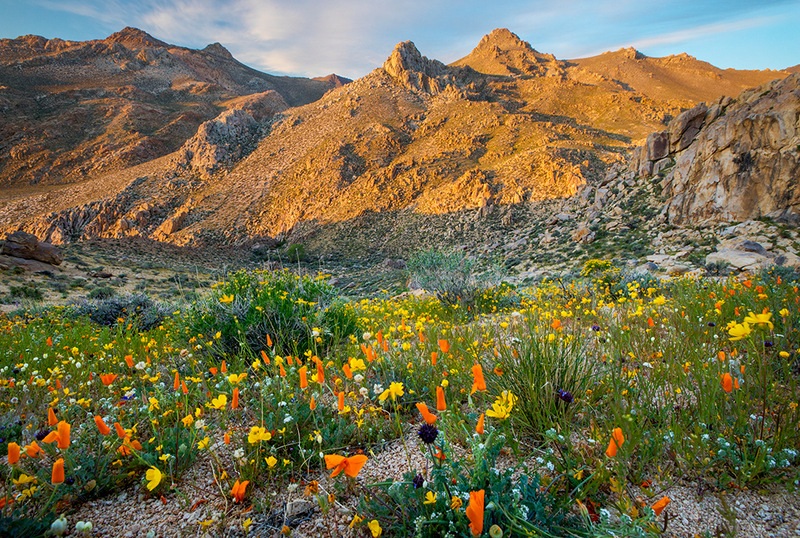 When the Department of Interior threatened our national monuments, over 2.7 million people wrote public comments urging the administration to keep protections for these iconic landscapes. This activism and support have made a significant impact. Our Federal Affairs team is working tirelessly around the country and in Washington, D.C. to defend our iconic national monuments and critical conservation programs that are at risk—and with your help, we are making headway. Our experienced staff and volunteers are meeting with members of Congress from both sides of the aisle—and recently helped convince Senators and Representatives to pass the most sweeping public lands legislation in a decade. This legislation—the John D. Dingell, Jr. Conservation, Management, and Recreation Act (S.47—formerly known as the Natural Resources Management Act)—was signed into law on March 12, 2019. Even with this law in place, our public lands are still in peril. Congress must take further action to protect our nation’s special outdoor spaces and iconic landscapes. In addition to passing the following legislative items below, we urge Congress to make the protection of public lands a top priority. Unless we protect these wild areas now, we and future generations will have fewer places to explore nature and enjoy the outdoors. And we will be at greater risk of climate disaster. The Antiquities Act was signed into law in 1906—giving U.S. presidents the authority to protect lands of historical, scientific, and cultural significance so these special places would not be at risk of destruction or reckless development. Since then, the Act has been used by just about every president to create or expand our country’s national monuments such as the Grand Canyon National Monument (now Grand Canyon National Park), Muir Woods National Monument, and Dinosaur National Monument. On April 26, 2017, the battle for our national monuments and the Antiquities Act began. President Trump directed former Secretary of the Interior Ryan Zinke to review the status of national monuments created or expanded since 1996 with an unprecedented executive order. When Secretary Zinke’s review became public, we were shocked. The man who said “you can’t love public lands more than I do,” recommended gutting protections for 10 of our revered national monuments. Former Secretary Zinke’s final recommendations threatened Bears Ears, Grand Staircase-Escalante, Cascade Siskiyou, Gold Butte, Organ Mountains-Desert Peaks, Rio Grande del Norte, Katahdin Woods and Waters, Northeast Canyons and Seamounts, Pacific Remote Islands, and Rose Atoll National Monuments and Marine National Monuments—an unparalleled assault on some of our nation’s most special places. Despite an overwhelming display of public outrage about the review, President Trump turned some of the recommendations into a presidential proclamation, announced on December 4, 2017, that eliminated over two million acres of protected status on lands at Bears Ears and Grand Staircase-Escalante National Monuments. This action put tens of thousands of archeological sites, Native American sacred sites, and recreational lands at risk of irreversible damage, looting, and reckless development. In addition, the administration indicated that the protection rollbacks wouldn’t stop with Utah’s iconic landscapes. Worse—a bill, H.R. 1664, was recently introduced in the House of Representatives that would codify this outrageous attack on public lands and gut the Antiquities Act forever—putting all of our national monuments at risk. We cannot let this bill pass the House. National monuments are drivers of local economies, preserve majestic landscapes, and tell stories of our shared history. We need to be sure that not a single acre is taken from the public. That’s why we are working with legislators to rally support for the Antiquities Act of 2019 (S. 367 and H.R. 1050). This bill would not only protect national monuments designated or expanded since 1996—including Bears Ears and Grand Staircase-Escalante—it also states that presidents cannot revoke or cut-back national monuments without congressional approval. We need your strongest support to help drive this critical legislation forward. President Trump’s presidential proclamation on December 4, 2017, nearly eradicated Bears Ears National Monument—the iconic landscape is now only 15 percent of its original size! Archeological sites like Cedar Mesa are at renewed risk of looting and desecration, recreational areas within the original monument boundaries could be damaged beyond repair, and the great sandstone buttes of the Valley of the Gods are at risk of reckless development. We need Congress to fight against this attack on our public lands, so we are working hard to build support for the Bears Ears Expansion and Respect for Sovereignty Act (H.R. 871). 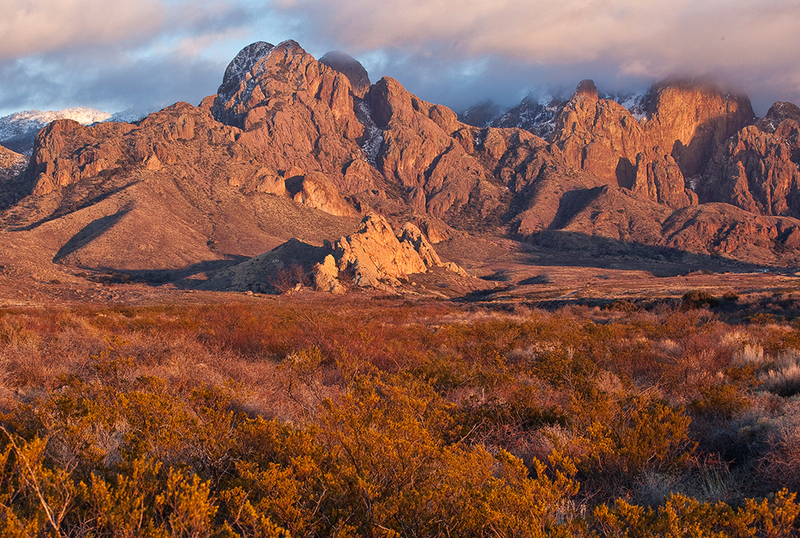 This important act proposes to expand the monument to 1.9 million acres—restoring and adding to protections for over 100,000 archeological and cultural sites that are currently at risk. This bill must be passed to minimize devastating long-term consequences for Bears Ears. We need your help to make it happen. In 1964, Congress passed legislation to protect our nation’s natural lands, water, and cultural heritage called the Land and Water Conservation Fund (LWCF) Act. The idea was simple: direct revenues from the depletion of one resource—offshore oil and gas drilling—to the protection of another resource—America’s land and water, to ensure access to recreation for all Americans. With this legislation in effect, Congress could use up to $900 million a year in revenue from oil and gas companies to create and safeguard parks, forests, wildlife refuges, and open space in every state in the nation. Since then, LWCF funds have been used to protect areas in all 50 states and Puerto Rico, including special places like the Appalachian Trail, the Pacific Crest Trail, the MLK Jr. National Historic Site, and the at-risk Rio Grande del Norte National Monument. Despite this critical work, in 2015, when the program reached the end of its second 25-year authorization, Congress let it expire. We fought hard against this expiration and pressed for a three-year extension of the program—buying some time to build support for the idea of making America’s best conservation program permanent. As you may know, the fight for the Fund and the future of our public lands did not stop there. Despite a whopping 45,000 state and local park projects completed with LWCF funds, the 115th Congress failed to renew the program before it expired in the fall of 2018. Again, we fought back. After months of urging Congress to renew the LWCF—with you by our side—we were able to push members of the 116th Congress from both sides of the aisle to permanently reauthorize the program. Finally, we no longer need to spend our efforts fighting for this critical program to exist! But the good news only goes so far. For most of the years that the Land and Water Conservation Fund has been in existence, Congress and various Administrations have diverted large portions of LWCF funds to other uses. President Trump also signed permanent reauthorization for the LWCF into law the day after submitting his proposed 2020 budget to Congress, in which he virtually eliminates funding for the program. Neutralizing the LWCF right after reauthorizing it is not only contradictory, it is unacceptable. It places the future of our public lands at risk. So we are once again fighting on Capitol Hill, and we won’t rest until Congress fully funds the LWCF at the full $900 million. We need your help to garner support so we can protect this essential conservation funding, and in turn, the future of our public lands. If you are concerned about the preservation of your public lands, contact your Representatives and Senators. Before calling, familiarize yourself with bills already in progressing through Congress. You can track bills directly using Congress' website and searching legislation. Depending on where the legislation currently is in the chambers, either the House of the Senate, direct you call towards that Congressperson. Thanks to Alana Fink, Digital Advocacy Manager from The Trust for Public Land for permission to share their diary entry!